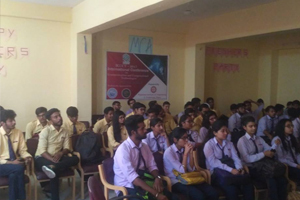 The Rajasthan Institute of Engineering & Technology organized an Expert Talk on RECENT TRENDS IN IT on 5.10.18. The main speaker on this occasion was Mr Prashant Khatri, Service Delivery Manager and Scrum Master, Hexaware Technology, Atlanta, USA. He is also a RIET Alumni of the 2003-2007 batch, dept of ECE. Principal RIET, Dr Saroj Hiranwal extended a warm welcome to Mr Prashant Khatri, and addressed the guest and the gathering. The session was attended by all HODs, students and faculty members of RIET. Principal RIET, Dr Saroj Hiranwal said that Information technology is one of the fastest moving careers sectors. Trends in IT requirements and jobs vary rapidly from year to year and with promotion and career change possibilities in a wide range of areas from computer hardware to e-commerce, it pays to keep ahead of trends in IT and an eye on the availability of information technology courses. 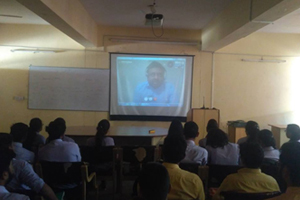 Mr Prashant Khatri, in his interactive session with the students said that, a digital network is emerging to support the upcoming digital business and its underlying technology platforms and IT practices. It focuses on people and the Internet of Things endpoints. The digital business evolution is looking for new digital models to align more closely to the physical and digital world for employees, partners and customers. Technology is rooted in everything. Digital technologies such as mobile, social media, smartphones, big data, predictive analytics, and cloud etc are different than the preceding IT-based technologies. Newer technologies touch the customers directly and that interaction creates a source of digital difference that matters to value and revenue. 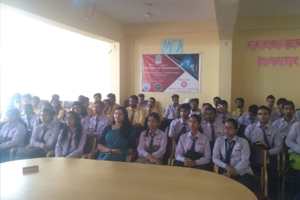 Dr Saroj Hiranwal, Principal RIET, said that the workshops of this kind help students to be aware of various technical qualities as is the demand of the current trends. All the students and the faculty members attended this interactive and informative session with great enthusiasm and were benefited a lot.